I can't tell you how much fun the interactive display is in here - they have all the levers set up and 'working'. 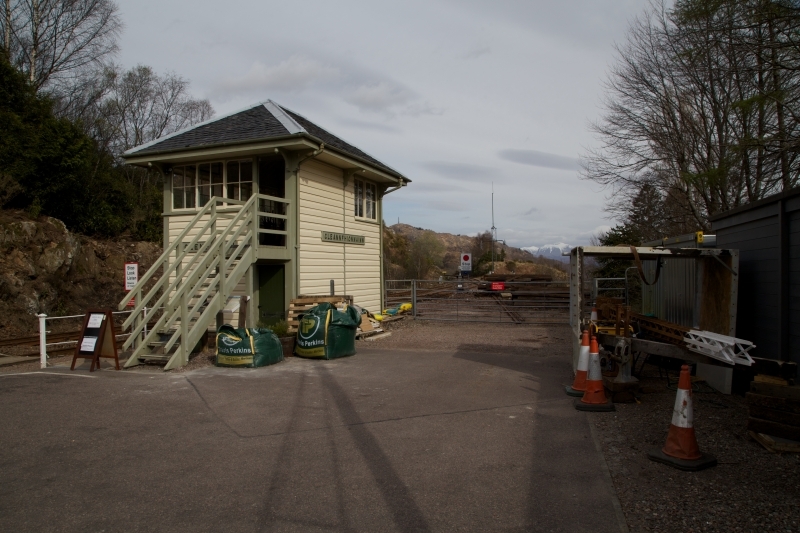 Instead of moving the actual signals and points, the levers are linked to two screens at each end of the signal box. You stand looking at a computer-generated image of what you see through the windows, with semaphore signals and trains arriving at the station, which you control using the levers. I learnt the difference between the black, white, red & blue levers - if it is open and you like railways/mechanical things/logic puzzles then I couldn't recommend it highly enough!